Why Are Fish Oil Oxidation Values Important to Your Health? A fish oil manufacturer recently visited our office and gave us two samples of a “super fresh, award-winning” fish oil. She wanted to know if we’d be interested in using the oil in our Omega3 Innovations products. Her lab data showed that the oil had been analyzed by a national company and that the oxidation levels were extremely low. In fact, they were lower than any value I had ever seen recorded. Understandably, I was skeptical. When I tasted the oil, the strong flavoring (added to cover up the fishy taste) stayed on my tongue for hours. When we analyzed the oil’s oxidation values later, we found that their claimed anisidine value of 0.1 was actually more than 200 times higher. As for the peroxide value, it fell outside our measurable range. No wonder the oil needed the heavy flavoring as a cover-up! It was clear that this product exceeded all freshness guidelines, so the question remained: Was this supposedly pristine omega-3 oil completely fraudulent or the result of ignorance? Our story isn’t all that surprising, especially when you look at the state of the modern omega-3 supplement industry. International studies have analyzed numerous omega-3 products, and the conclusions are concerning. In New Zealand, researchers found that 83% of these products exceeded industry-recommended peroxide levels (1). In South Africa, a similar study reported the number at 80% for over-the-counter fish oil supplements (2). 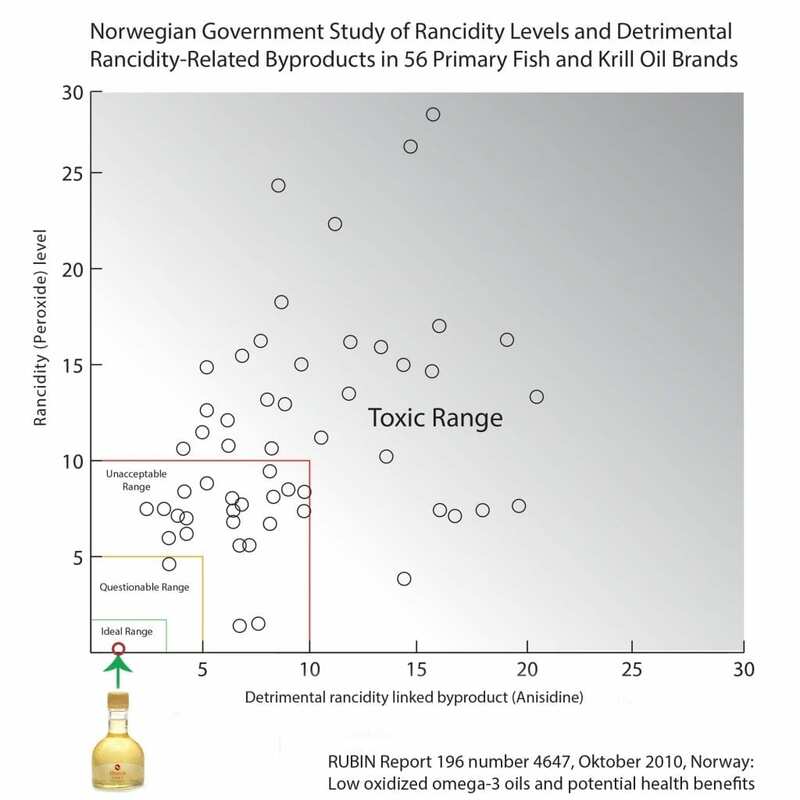 In Norway (the homeland of fish oil), a 2009 study demonstrated that over 92% of the surveyed products exceeded recommended levels (3). Most troubling, however, were the results of a Canadian study. The outcome? Omega-3 products for children had the highest oxidation values of all (4). 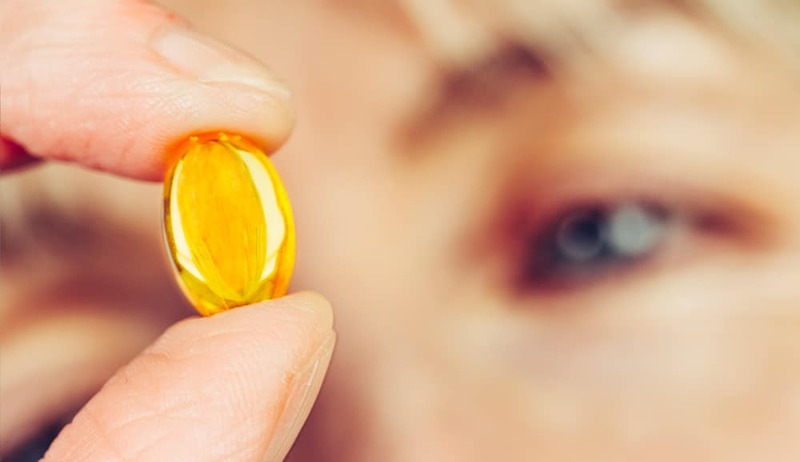 Thanks to international scientists raising concerns over the volume of poor quality, rancid fish oil capsules, the omega-3 industry has recently started to push back. Many fish oil manufacturers (like the one who visited our office) are starting to talk about the oxidative status of their oil, which is a step in the right direction. For consumers, however, it can be confusing. What does it mean for fish oil to be fresh? What is the best fish oil to take? How do we determine a trustworthy brand? Most people aren’t aware that when it comes to omega-3 products, freshness and rancidity aren’t purely subjective: They’re actually measurable levels. The three most common measures of rancidity are peroxide, anisidine, and TOTOX values. 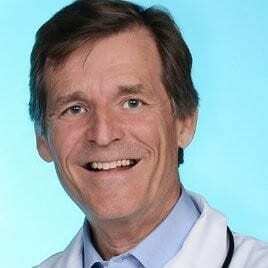 What Do Peroxide, Anisidine, and TOTOX Values Mean? When oils break down and oxidize, they create new byproducts that don’t exist in the fresh oil. These byproducts typically give off the strong taste and smell associated with old fish (or even turpentine). Peroxide and anisidine measurements provide a quantifiable indication of how many of these byproducts have formed in the oil. The TOTOX value – which is calculated by using the peroxide and anisidine measurements – provides a clearer overall picture of the freshness level of oil. While they aren’t the only ways to measure an oil’s oxidation levels, these numbers are relatively easy to measure and require minimal equipment. It’s important to realize, however, that the tests aren’t perfect. For instance, if an oil contains lots of flavoring or additives, it can affect the correct reading of the oxidation levels. As a rule, the lower the oxidation numbers, the fresher the oil. 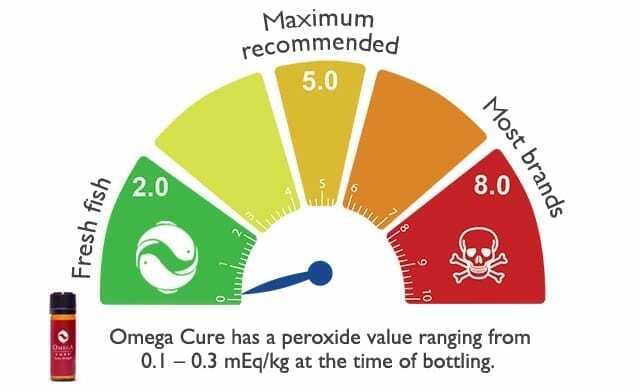 GOED (a prominent omega-3 trade association) recommends an upper limit peroxide value of 5 mEq/kg and anisidine value of 20 mEq/kg (5). It’s worth noting, however, that some experts believe the values should be even lower. 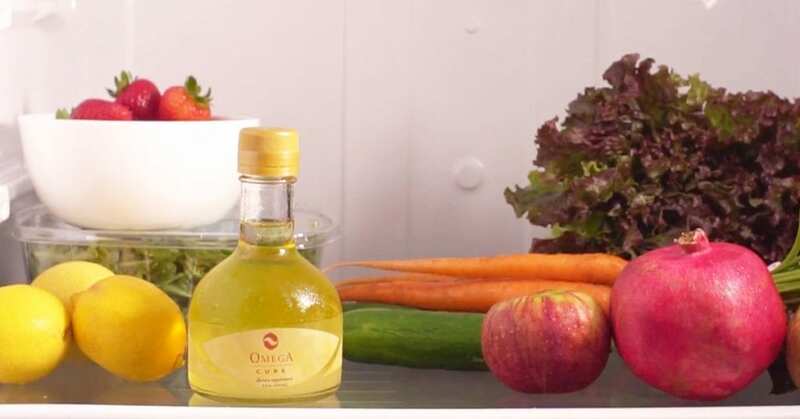 Omega Cure® typically has a peroxide value of 0.1 – 0.3 mEq/kg, which explains why the oil has no fishy taste or smell. What Happens When an Oil’s Oxidation Numbers Are Too High? As oxidation occurs, an oil’s EPA and DHA content also decreases. Since these omega-3 fatty acid molecules are the main workhorses of the omega-3 family, reduced EPA/DHA content means reduced efficacy (1). Furthermore, many scientists believe that excessively oxidized lipids can be harmful to consume. As helpful as oxidation values are in determining the freshness of an omega-3 fish oil, you can’t just rely on the reported value to determine quality. 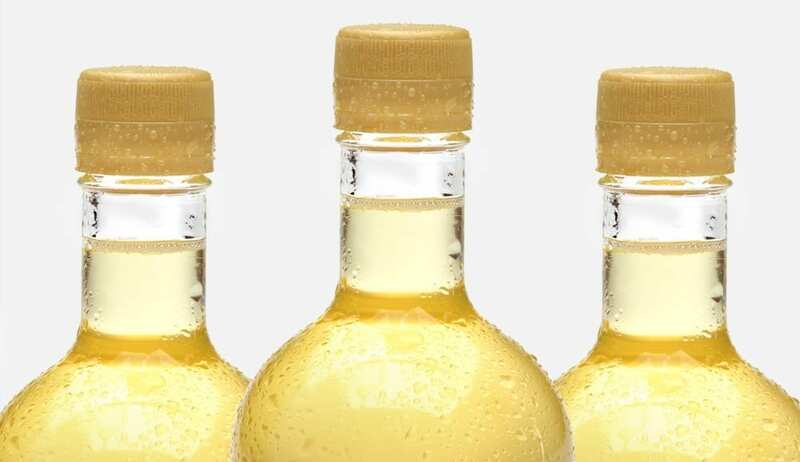 Before it’s put into capsules or bottles, an oil might have a peroxide value well-below the recommended 5 mEq/kg. However, by the time that product has gone through its final processing and waited on a drugstore shelf for several months (or years), that number will definitely be higher. In fact, one study from Poland (Kolanowski et al) found that fish oil capsules developed peroxide levels that were 20% higher than their initial values – within 22 days of storage! And these were fish oil supplements that had been stored at room temperature in air-tight containers with limited exposure to light (4). How Do You Know If A Fish Oil Is Still Good? While it’s not a foolproof method, tasting and smelling your fish oil is probably the best way to make an assessment. 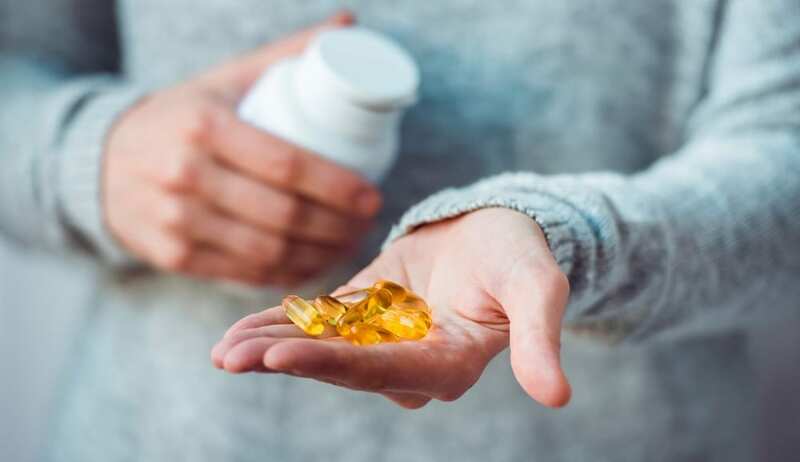 Just like fresh fish, the best-quality fish oils should have no fishy taste or smell – and they shouldn’t need to be covered up by heavy flavoring or gelatin capsules. At the time of writing, we’re the only omega-3 manufacturer we know that offers a completely unflavored liquid cod liver oil – a testament to Omega Cure’s freshness. How confident are we in the quality and freshness of our products? We print the oxidation values (e.g. peroxide, anisidine) and bottling dates on every bottle of Omega Cure and box of Omega Cure Extra Strength vials. This way, our customers can know more about the quality of the oil they are consuming. As the makers of your omega-3 oil, we believe we have the responsibility to provide you with as much information as we can about the freshness of your Omega Cure. In this industry, we want to be the first to take a stand for freshness transparency while providing the greatest health benefits possible. 1. Albert, Benjamin B. et al. Fish oil supplements in New Zealand are highly oxidised and do not meet label content of n-3 PUFA. Scientific Reports 5 (2015). Article ID 7928 (2015). doi:10.1038/srep07928. Epub 21 Jan. 2015. 2. Opperman M, Benade S. Analysis of the omega-3 fatty acid content of South African fish oil supplements: a follow-up study. Cardiovascular Journal of Africa. 2013 Sep; 24(8):297-302. doi: 10.5830/CVJA-2013-074. 3. Laupsa-Borge, Johnny. Velg Ferske og Naturlige Omega-3 Produkter. Helsemagasinet Vitenskap & Fornuft. 9 Dec. 2012. 4. Jackowski, Stefan A. et al. Oxidation Levels of North American over-the-Counter n-3 (omega-3) Supplements and the Influence of Supplement Formulation and Delivery Form on Evaluating Oxidative Safety. Journal of Nutritional Science 4 (2015): e30.doi:10.1017/jns.2015.21. Epub 4 Nov. 2015.